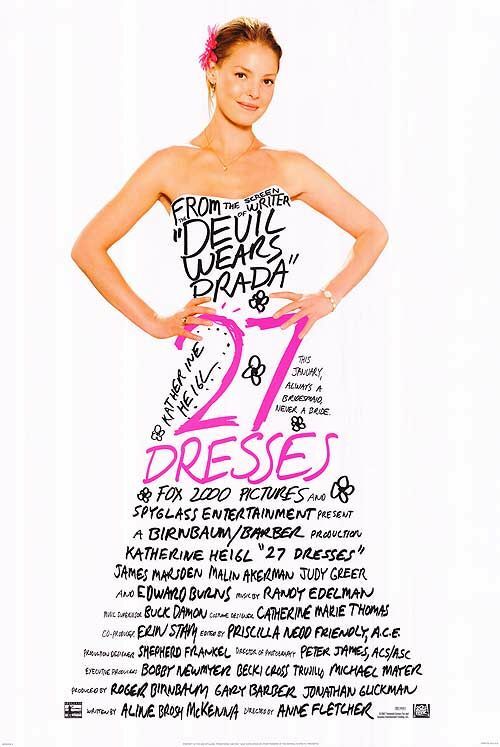 27 Dresses (2008) | Tales From The Ipe! This Thanksgiving weekend, we had some downtime, and we watched a mix of previously-viewed and new-to-us movies. One of the new movies we watched was 27 Dresses, the 2008 comedy starring Katherine Heigl. Comedy? Yes. Chick flick? Absolutely. I’ll admit that it wasn’t as bad as some critics and reviewers were making it out to be. Sure, it was formulaic, because you could plot the movie twists and turns according to every previous movie of this type.